Before your next trip to the exchange on Nellis Air Force Base northeast of North Las Vegas in Nevada, be sure to check MyMilitarySavings.com for the latest coupons and other discounts. We understand that military shoppers and their families don’t always have the time to scour the internet trying to find up-to-date coupons relevant to their shopping needs. To help with this, we’ve gathered savings from many different sources, including helpful links to the Army and Air Force Exchange Service (AAFES), into a single, user-friendly website for quick access to discounts right at your fingertips. In addition to the discounts we provide for shopping at the exchange, you’ll also be able to find videos, articles, and more from other military shoppers like you that feature shopping tips, recipes, and other information. Also, feel free to join our active online community on Facebook, Twitter, Pinterest, and Instagram. 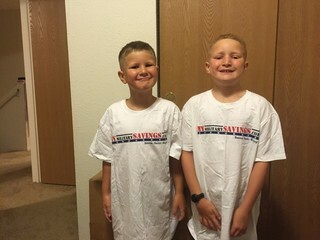 To learn more about the discount opportunities we can provide you for shopping at the exchange on Nellis AFB, enroll today for your free MyMilitarySavings.com membership.